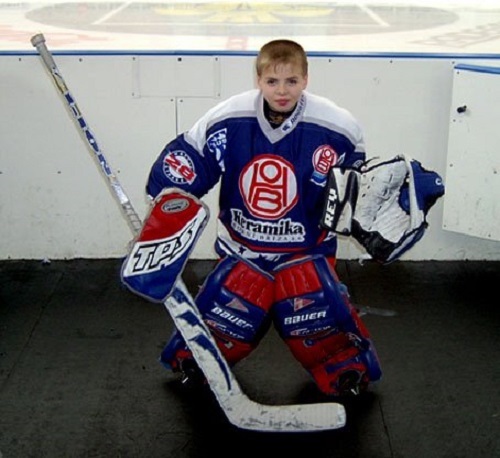 Eurolanche Fan Club did exclusive interview with the new Colorado Avalanche goalie. Roman Will (22) spent almost his entire youth career in the Czech team of Mlada Boleslav. 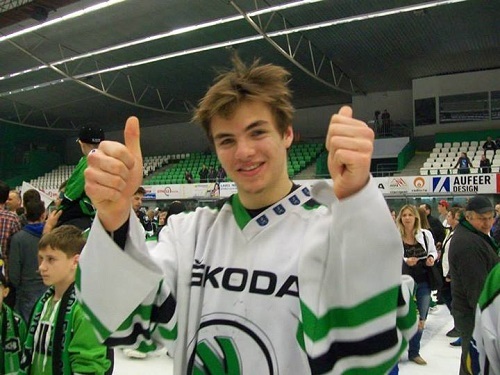 He represented this team in the all key categories – from U18 to the senior level. 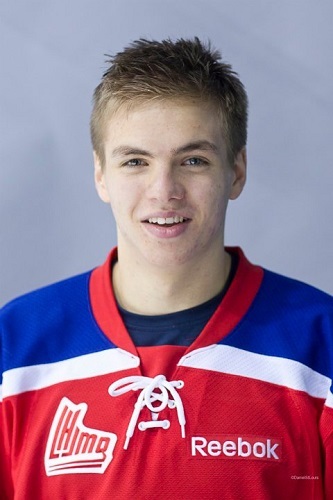 He got exclusive opportunity for one year in 2011/12 when he played in QMJHL for Moncton Wildcats where he played against Nathan MacKinnon too. After his big North American success (First All-Star Team of the season) he came back to Czech Republic and helped Mlada Boleslav to be promoted from the 2-tier league to top league in the last season. Roman´s joy after his team was promoted to the top league. One of Roman´s top success and memorable moments is a 3-point game when he scored one goal and added two assists. After his last successful season he has signed 2-year 2-way contract with the Colorado Avalanche. In spite the organization has many ambitious goalies at all levels, Roman believes he has a chance and is willing to do anything for the success. How did you spend last weeks after the signing of new contract? Were you in Colorado in person? I wasn´t in Colorado – all stuff was done via email and a scanner. I was on the holiday with my girlfriend from May 9th and I have been training individually since May 17th. It took a long time – I knew about their interest in me from the first half of the last season. When and how did you agree with your NHL contract? My agent was responsible for everything and finally I signed a contract via ascanner. Negotiations started after the end of the season in Mlada Boleslav. You signed a new one-year contract with Mlada Boleslav few weeks ago. 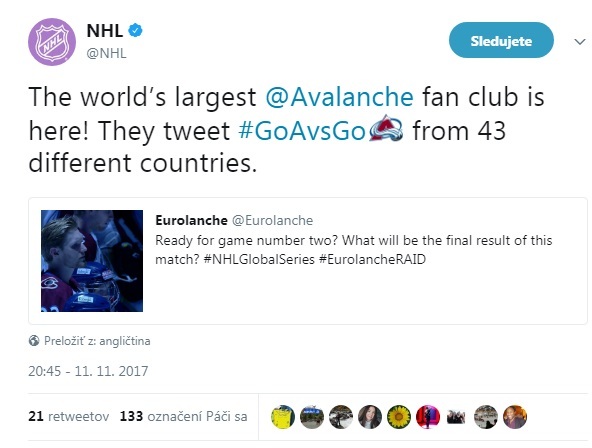 Wasn´t it a problem to cancel it when you got an offer from the Avalanche? I just re-signed my contract as a part of an option and there was a clause that if I got an offer from the NHL team, I could go there without a problem. Have you talked with someone from the Avs about their expectations from you in the next season? I haven´t a chance to talk with someone yet, my agent did and does everything important. I guess I and the team will be in the touch very soon. What will be you main objective in your first season in the Colorado Avalanche? I don´t think much deep in the future. I will try to be ready as best as is possible and be focused on every practice. Did you watch the Avalanche hockey in the past? Colorado was one of my favorite teams mainly due the fact Patrick Roy was a goalie there. I followed them in the past season, because I was looking forward on Patrick in his new position. Do you know current Avalanche players? Did you meet some of them in person? I met Nathan MacKinnon during my year in QMJHL and Jan Hejda is lone Czech players in the team now. And of course I know their goalie situation in the whole organization. How do you remember on MacKinnon? I have a lot of memories on him, mainly from the playoffs because our teams faced each other in the first round. He had a great year then, scored a lot of goals against me, but one time I saved his penalty shot in the Hasek style. What do you say on an opportunity to be coached by Patrick Roy? My dream becomes true. I was dreaming about that in my childhood too. 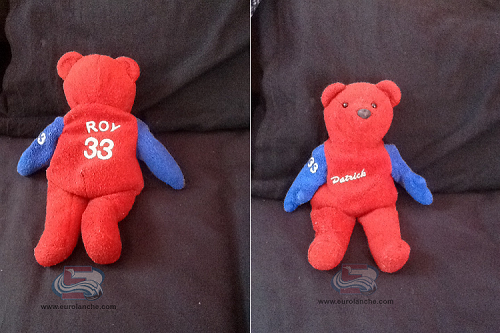 When I was 7 and I was going to play in my first regular game, my parents gave me a talisman – Avalanche teddy bear with “33” and “Roy” on that. I still have it. You spent almost your whole career in Mlada Boleslav. Won´t you miss your Czech team? Of course yes. I have many friends there, the atmosphere was great in the locker room, but now there is a new challenge ahead me and I am very happy about it. What do you consider to be your biggest success in Mlada Boleslav? This year´s promotion to the top league definitely. It was a big moment for the whole city. You scored a goal and added two assists in 2009/10 season. Can you describe it? I still remember on it, it was during the game against Havlickov Brod. It was probably my craziest game. I will never forget on that goal. Two minutes was remaining in the game and other team wanted to get in our zone, so they took a shot on me. I believed in myself, so I tried to shot the puck over all players and fortunately it went directly to the net. To be honest, I practiced it a lot before. Mlada Boleslav was promoted to the top league for the first time while you were a goalie there. Don´t you regret you leave the team right after this success? It is a hockey life and I am going to fulfill my dream. I don´t have to get this chance again, so I will do everything to be successful in North America. Of course I will wish them all good and follow their games. You had some health problems in the past season. How do you feel now? I don´t have any problems now and I feel very good. I am practicing for the next season. You spent one season in the QMJHL. How do you remember on that? It was my best year in my life. I met new people, experienced a new life and I will never regret that year in Moncton. 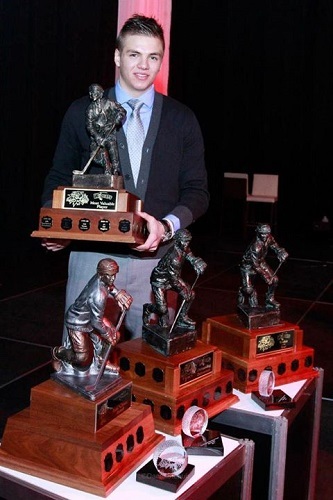 Season in QMJHL was successful for Roman. In spite of your success in North America you came back to Mlada Boleslav, why? The problem was in my contract that included a clause about Mlada Boleslav´s rights on me, so when they decided to get me back I had to go. Didn´t you some offers from other North American teams in that time? We were solving other options in that time, but unfortunately nothing happened. But I believed it was right, because then I got my first chance in the senior team of Mlada Boleslav what was a big experience for me and it has moved me to another level. What is the difference between QMJHL and 2-tier Czech league? Main difference is the ice rink size measurements. In QMJHL there are more shots, in Czech there are more technical players who try to go with the puck even to the empty net. How will you spend the upcoming summer? I will be practicing for the next season. North American hockey is very hard so it will be extremely important for me to be prepared very well. My summer will be about nothing but hard work. What would you say to the Colorado Avalanche fans? I will do everything for the perfect representation of the Avalanche organization and myself too. You can read other Eurolanche´s exclusive interviews at this link. You can follow Roman on his Twitter account @Willda29.